The welcome bonus currently on offer at Mummys Gold is a matched deposit bonus that applies up to the first $500 that you deposit into your account. This is a high bonus but, as ever, wagering requirements exist that make it a little bit less attractive than it may appear at first. Mummys Gold focuses on slot machine based games, although comparing what they have to offer to the old fashioned one armed bandit seems like faint praise. There is a huge range of options here and there is certain to be something on offer that will suit almost every taste and playing style. Mummys Gold is an online casino only. There is no option to play the games using specialised software on a tablet or smartphone. However, there is a mobile optimised website available and it’s easy to login to your account and play some of your favourite games using your smartphone or tablet. The usual wide variety of deposit methods are available at Mummys Gold, although PayPal, offered on some sites is not available. You have the choice between depositing money using credit or debit cards (including Visa Electron but not American Express) or by using one of the many eWallet systems that the site supports. Withdrawal options offered by Mummys Gold are just as wide as the deposit options. Essentially, you have two choices. You can either cash out to the eWallet system of your choice or you can have the money sent to a credit or debit card account, which takes a little longer to process. Mummys Gold is available in a huge number of European languages and even the English and Spanish versions are localised depending on the country that you are playing from. This opens up playing on the casino to a huge range of customers and widens the set of people to play table games with. Mummys Gold is only available to play in US dollars. Although there is nothing to stop you using a bank account denominated in another currency to fund your playing on Mummys Gold, it’s worth keeping in mind that you may face currency conversion fees when you decide to play in this way. 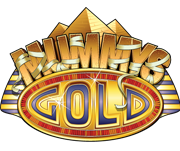 Overall, Mummys Gold is a casino with a theme. However, it hasn’t let this theme get in the way of its quest to offer as many types of games as possible. The selection of slot machine games in particular is vast and should be enough to occupy many players for some time. If you require support at any time while you are using the Mummys Gold casino, click on the icon of a person wearing a headset in the top right hand corner of the screen. This will take you straight into the Mummys Gold live chat system where your question can be answered.